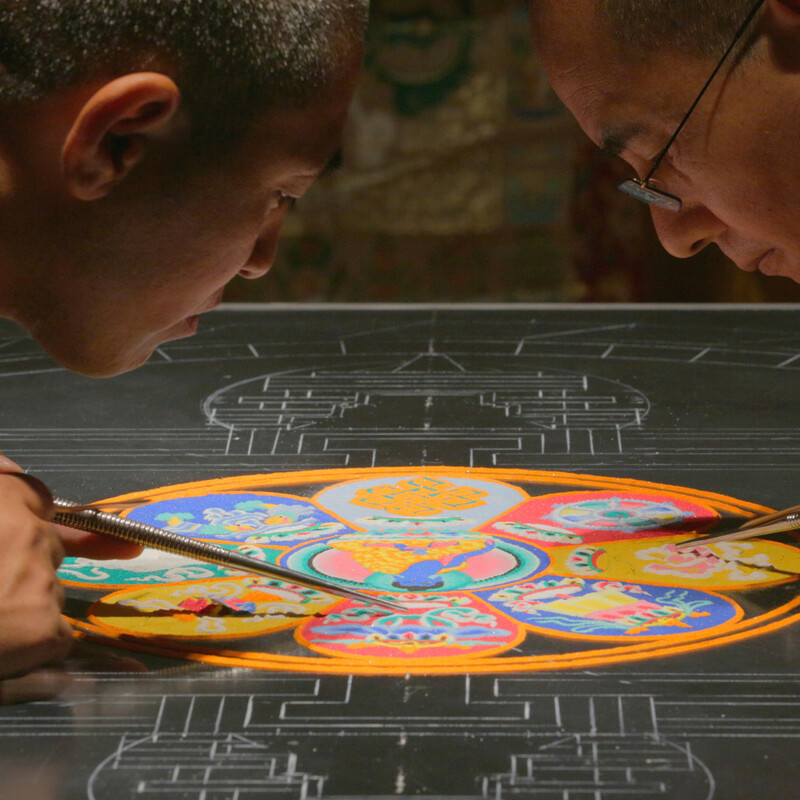 Watching Tibetan Buddhist monks from the Drepung Loseling Monastery create a visually-stunning mandala from millions of grains of colored sand is a study in patience — and the beauty of art. 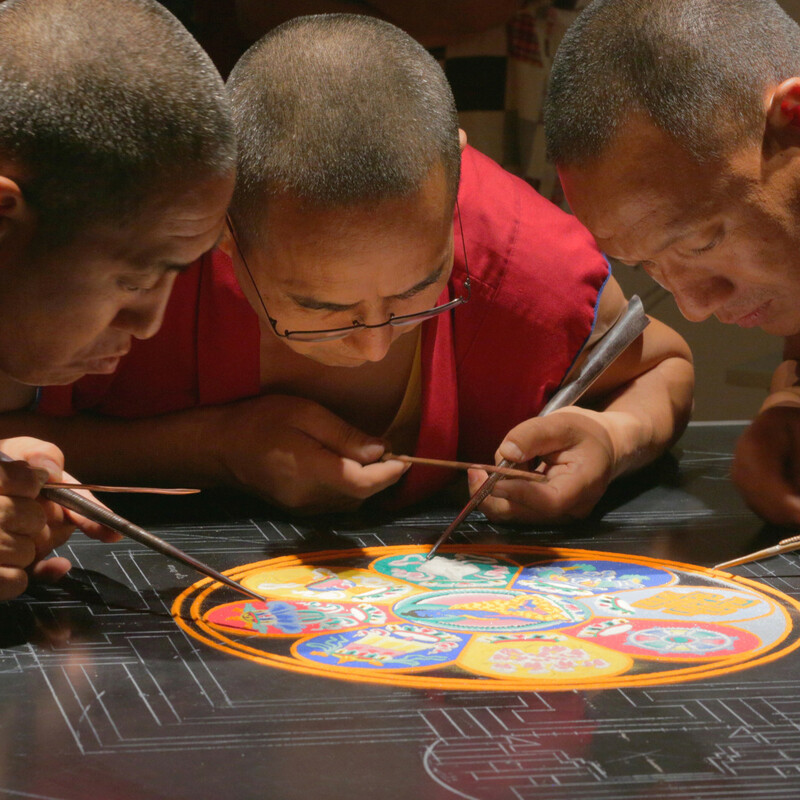 CultureMap contributor Joel Luks captured the monks in action at Asia Society Texas Center’s Louisa Stude Sarofim Gallery earlier this week as they first drew an outline on a wooden platform and then painstakingly laid the colored sands in an intricate pattern using a traditional metal funnel called a chakpur to create the spiritual and ritual symbol in Indian religions. 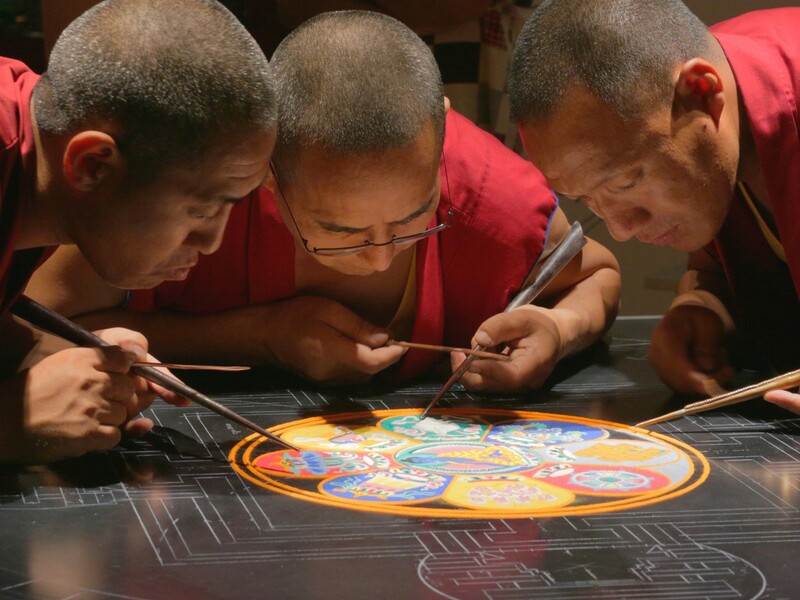 On Sunday (August 23) it will all be swept away, as the monks dismantle the mandala, dispersing the colored sands to symbolize the impermanence of life. Half of the sands will be distributed to the audience at the closing ceremony at 3 pm, while the remainder will be deposited into a natural body of water. 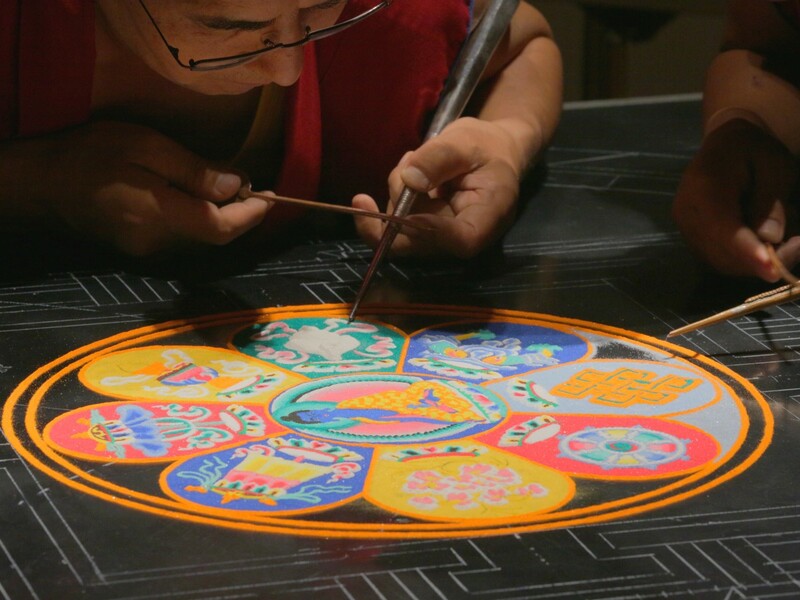 Guests are also invited to visit the mandala on Saturday, where they can take part in a separate community sand painting with instruction on how to use the chakpur. 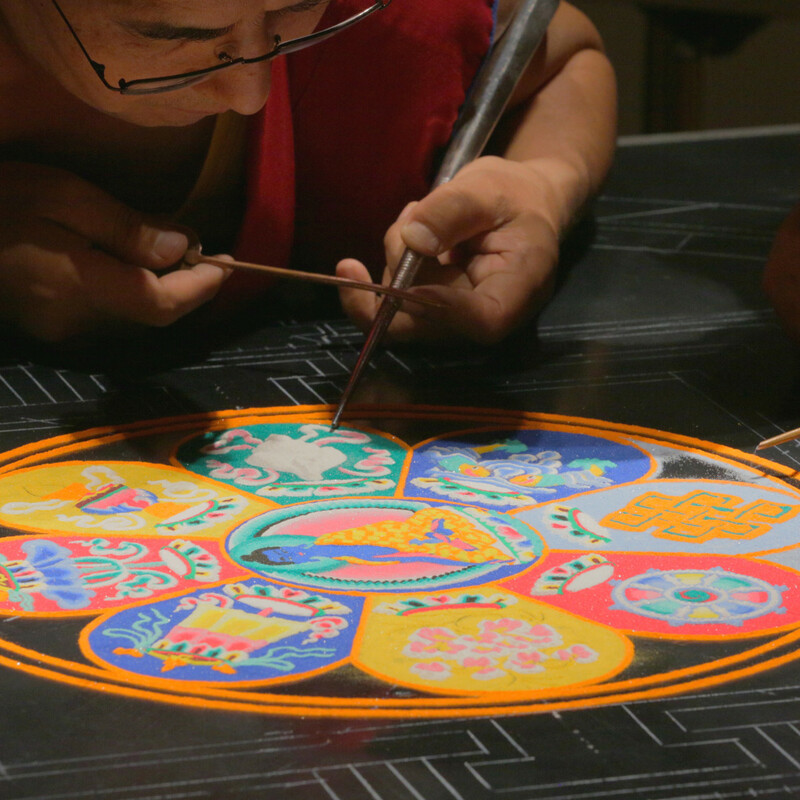 The gallery is open from 10 am to 6 pm both days. 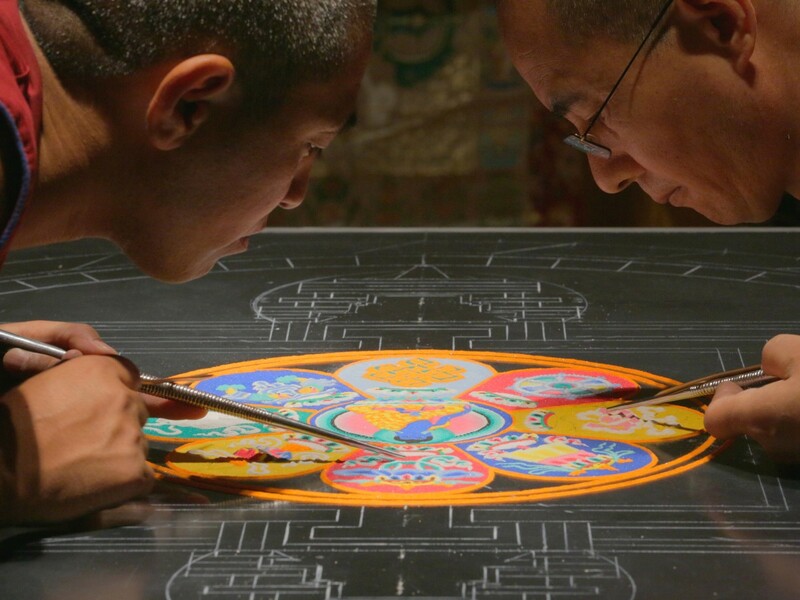 The monks from Drepung Loseling Monastery have created mandala sand paintings in more than 100 museums, art centers, and colleges and universities in the United States and Europe.